A MUST SEE ~ Completely Remodeled and Move In Ready! This 4 Bedroom, 2.5 Bat Colonial On .86 Acres Has the Open Concept You Have Been Looking For! Large Living Room With Window Seat and Fireplace. Large Kitchen With Granite Countertops and Island Which Is Open Into the Family Room. Formal Dining Room With Sliding Glass Doors Which Lead Out To the New Two Tiered Deck. Master Bedroom With Master Bath and Walk In Closet. This Home Has New Flooring Throughout, New Interior and Exterior Doors, New Kitchen Cabinets. New Granite Countertops, New Designer Electric Fireplaces, New Sliding Door, New Commodes, Tubs, Vanities, Sinks and Tile Work. Large Private Lot Features Full Wood Privacy Fence and Expansive Deck. 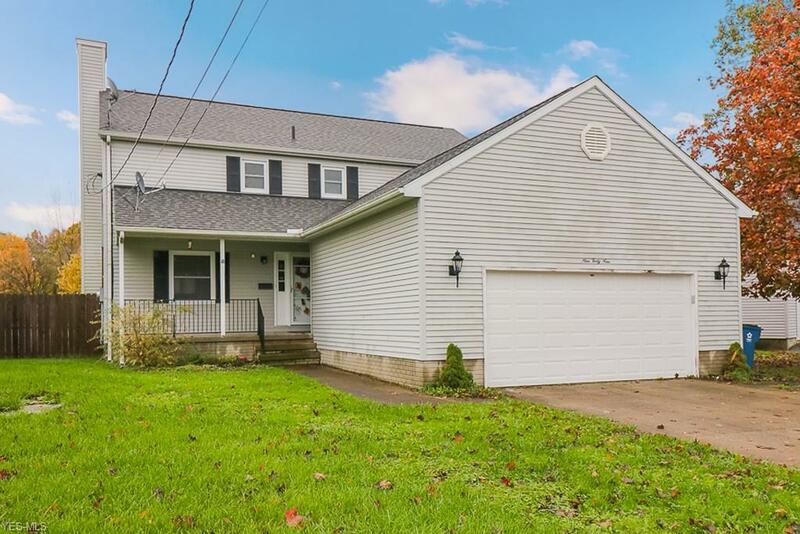 Close To Charming, Downtown Amherst. One Year America's Preferred Home Warranty Included. Schedule Your Private Tour Today!